If you reside in the Australian Capital Territory, then count yourself lucky, because it is generally considered to be one of the healthiest states, compared to the rest of Australia. However, even though the state has lower reported cases of heart disease, many residents still have high cholesterol, and 63.5% of adults are categorised as being overweight or obese. 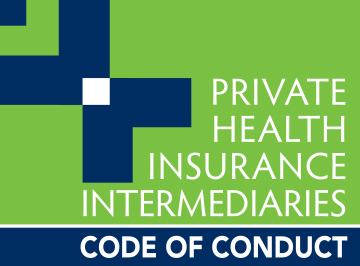 It’s important that you know your health status to determine whether you’ll benefit from private health insurance. For example, if you have pre-existing medical conditions you might want to review your health cover to ensure you’ll be able to afford the treatments and services you might need in future. Find out if cheap health insurance in ACT offers value for money, and which fund best suits your specific requirements. The state you live in has an impact on your premiums. For example, if most people in your state are healthy and claim less frequently from their health insurance, chances are your premiums could be lower for the same level of cover than for another state. Which ACT health insurance company is the cheapest? To ensure you’re getting maximum value for your premium, it’s crucial that you compare similar policies from the top health insurance companies in your state. The below table shows what a single person without dependents can expect to pay for a combined hospital and extras package. 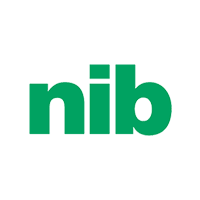 nib Kickstarter $500 $108.09 Receive hospital treatment in a private or public hospital with comprehensive ambulance cover. General dental, optical and Non PBS pharmaceuticals are also included. Bupa Young Singles Choice $0 $166.70 Private benefits for accidents, selected dental and gynaecological surgery. Includes major dental, acupuncture and remedial massage. 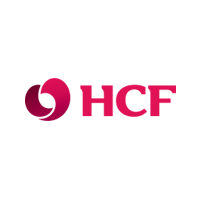 HCF Young Starter $250 $162.75 Free overseas travel insurance and comprehensive ambulance cover. You’re also covered for optical, physiotherapy, chiropractic and naturopathy. Medibank Everyday Essentials $250 $137.15 Hospital cover for knee and shoulder reconstructions, as well as heart related services. You’re covered for podiatry, optical and dental. ACT Nurses and Midwives StarterPak $0 $119.80 Access to a national network of agreement hospitals & day facilities. Full benefits for hernias, knee and shoulder reconstructions. 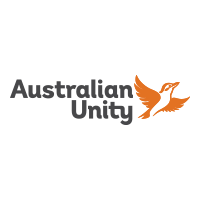 Australian Unity Basic Saver $500 $112.25 Partial cover for ambulance & only provides private hospital cover for accidents. You’ll be covered for general dental, optical and physiotherapy. Exclusions and waiting periods are important to review when looking for the right health insurance because they can have a direct impact on your ability to claim. Exclusions refer to any services or treatments your health insurer will not cover. However, exclusion varies from policy to policy, so carefully read through the product disclosure statement before purchasing. Claims made after your membership has lapsed. Claims for treatment that you received overseas. Any treatments or services that aren’t covered by your policy. Any treatments or services that you can receive from the government for free. All health funds have waiting periods included on their policies. A waiting period is the length of time that must pass before you can claim for a service or treatment that is included with your policy. This is to ensure that people don’t merely take out a policy when they need immediate cover and then cancel after treatment has been received. Health funds very rarely waive waiting periods. 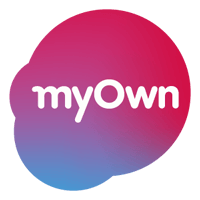 So, if you suspect that you might need to use a service or treatment in the future, for example, if you’re planning to become pregnant, it’s a good idea to take out cover now. 2 months: For some extras, like physiotherapy and general dental services. 6 months: Optometry, like for glasses and contact lenses. 12 months: Pregnancy and pre-existing conditions. You can save on the cost of your premiums by avoiding additional tax charges and making use of the private health insurance rebate. The Private Health Insurance Rebate was created by the Australian Government to encourage Australian residents to take out private cover in an effort to reduce the burden on the public health care system (Medicare). The rebate is paid to you through a percentage of the cost of your premiums, up to a maximum of 34.579%. You can choose to receive your rebate through reduced premiums or by a reduction in your tax from the Australian Tax Office (ATO). You’ll receive additional taxes in the form of levies when you don’t have private health cover. The Medicare Levy Surcharge (MLS) is an additional 1.5% in tax that you’ll have to pay when your income is over a certain amount. The Lifetime Health Cover (LHC) loading, will add another 2% tax if you don’t get private cover before the 1st of July following your 31st birthday. If this 2% gets added, you can only get rid of it when you have a private hospital or combined hospital and extras cover for 10 consecutive years. Is ambulance cover free in ACT? Whether ambulance serves are free in ACT depends on some specific circumstances. Free ambulance cover is only available to school children, pensioners, concession card holders, and residents injured in car accidents. The charges can also be waived under extraordinary circumstances, such as in the case of the Good Samaritan act. Treatment & Transport for emergencies = $936. Treatment only emergencies = $649. Are dental services free in ACT? Children under the age of 14 years who attend an ACT school. Young people older than 14 years who have access to a Health Care Card. Adults who have a Centrelink-issued Pension Concession or Healthcare card. We’ll help you compare policies and premiums from top health funds in ACT so that you can find the right policy for your requirements and budget. Find out how much an ambulance costs in New South Wales, whether you qualify for an exemption and which providers offer the cheapest NSW ambulance cover. Discover the best private health insurance in NT. We review the 6 most affordable health funds so you can decide which one suits your needs & budget. We compare the top private health insurance in Tasmania, helping you find an affordable option that suits your current circumstances & unique requirements. Find the cheapest private health insurance in Queensland that also suits your needs. Compare premiums, benefits, and exclusions from top health companies.